Images of the much anticipated Xbox One Slim (which is the first revision of Xbox One) have been ‘leaked’ online. 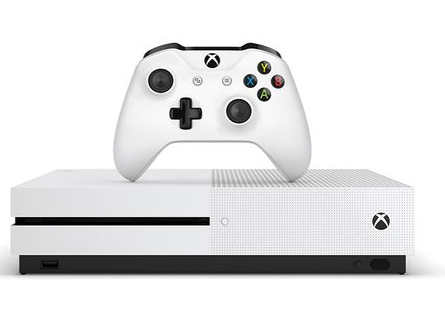 Xbox One Slim comes with an amazing 40% reduction in console size, a 2TB hard drive, 4K Ultra HD, High Dynamic Range, a Streamlined controller and a vertical stand. The Slim is to be codenamed- Edmonton. More details including price and release details are expected to be made public during the Microsoft E3 show tomorrow.